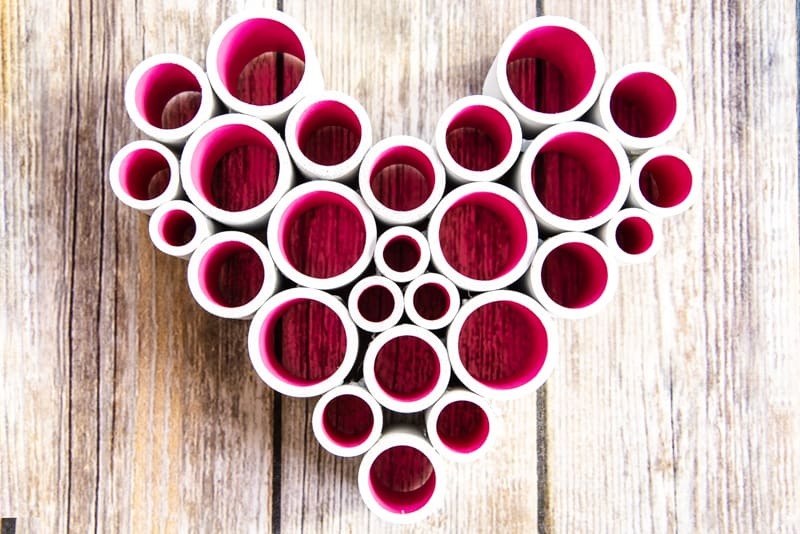 Bring a pop of color to your home with this fun PVC pipe project! 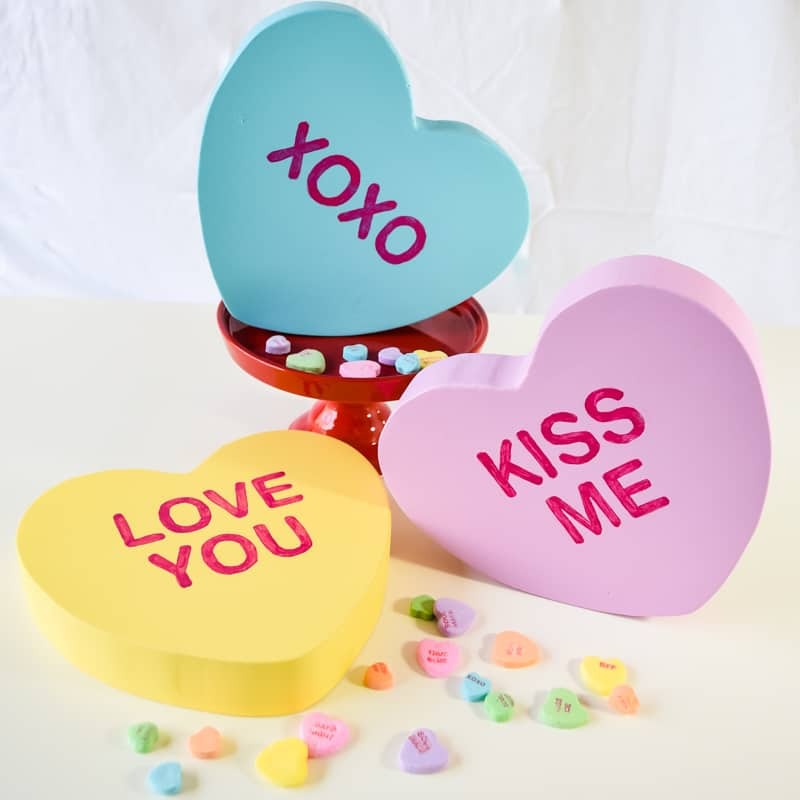 Make a heart for Valentine’s Day or create your own bold home decor piece using PVC slices! I love modern decor, especially white with bright pops of color! 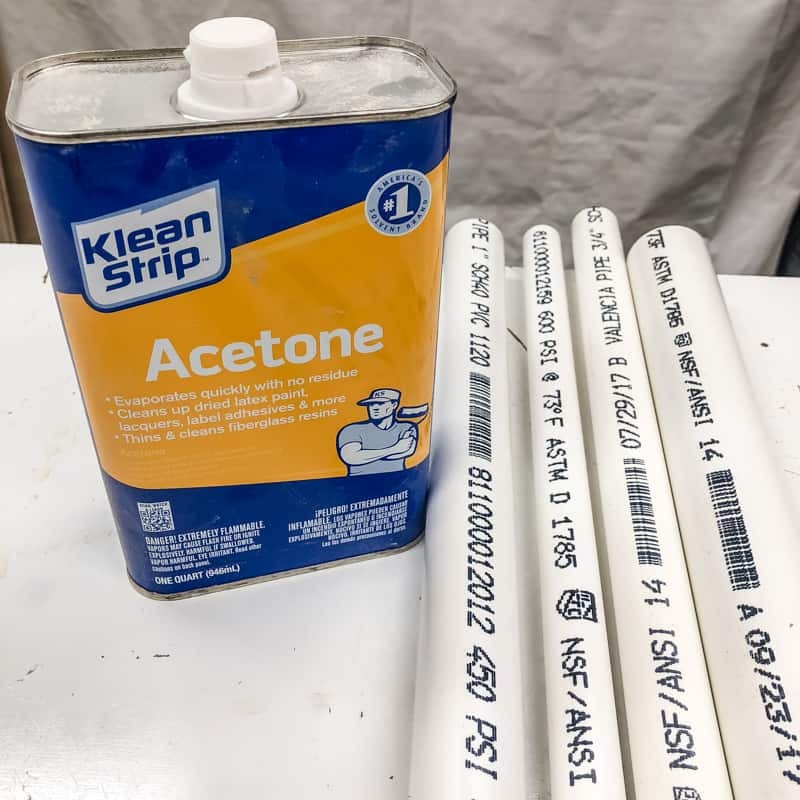 When I was wandering around Home Depot while waiting for my paint to be mixed, I spotted a bin of white PVC pipe already cut to manageable lengths. 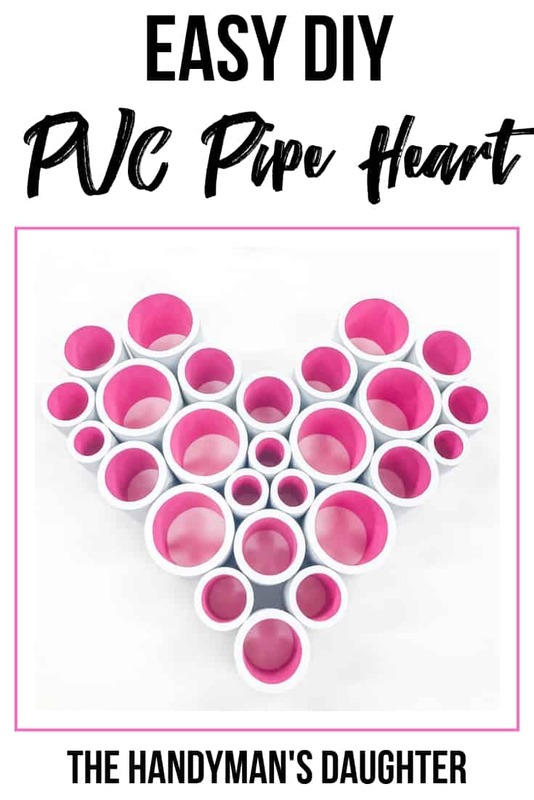 I grabbed a couple of each diameter to make this fun PVC pipe project that’s the perfect Valentine’s Day decoration for our mantle! 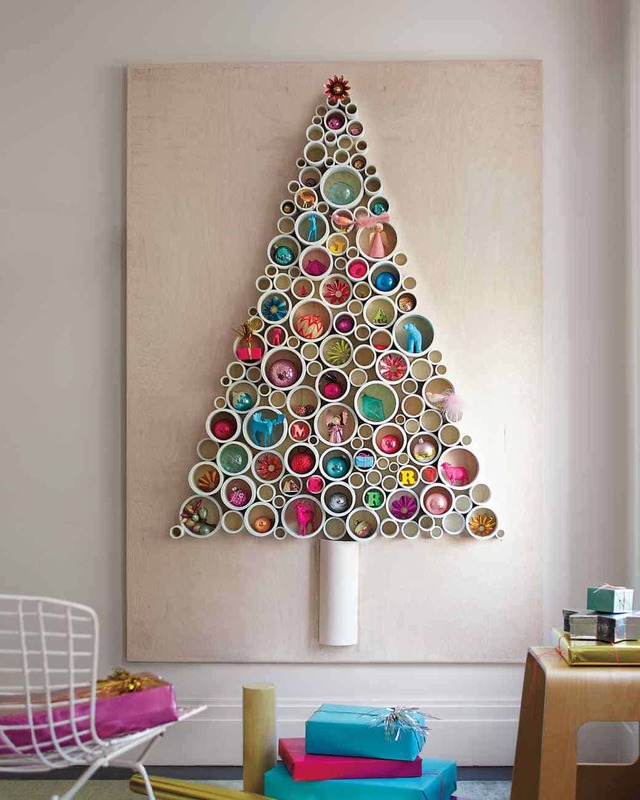 Back around Christmas, I stumbled across this amazing modern Christmas tree on Pinterest. 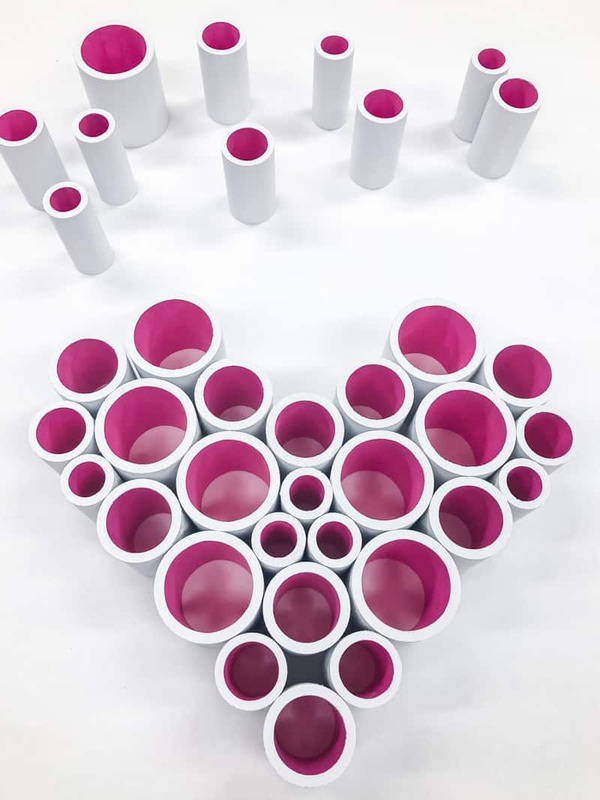 It’s made entirely with PVC pipe slices, and was the inspiration behind my heart version. I just love the bright colors inside all those crisp white circles! 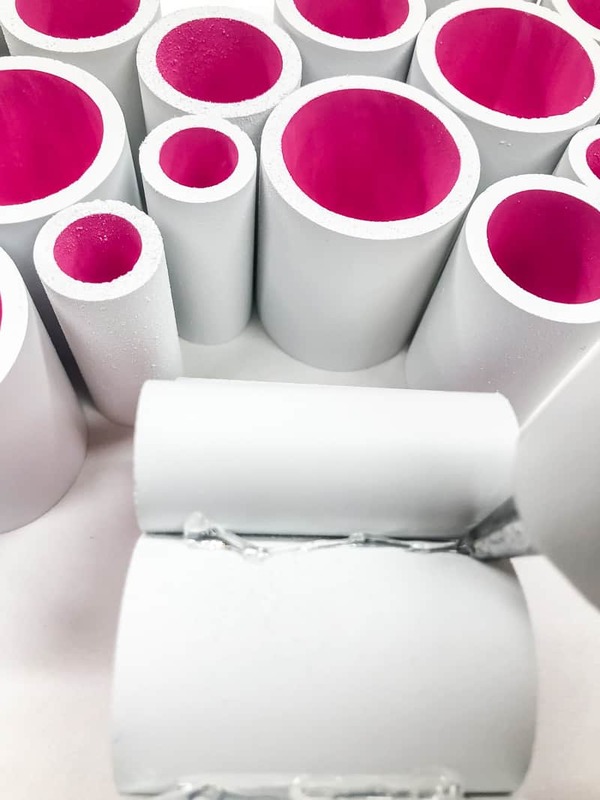 Here’s what you’ll need to make your own PVC pipe project! If you have sensitive skin, you may want to don some butyl rubber gloves as well. In the plumbing department of the hardware store, you should be able to spot a rack with 2 foot long precut pipe. Grab one of each size. 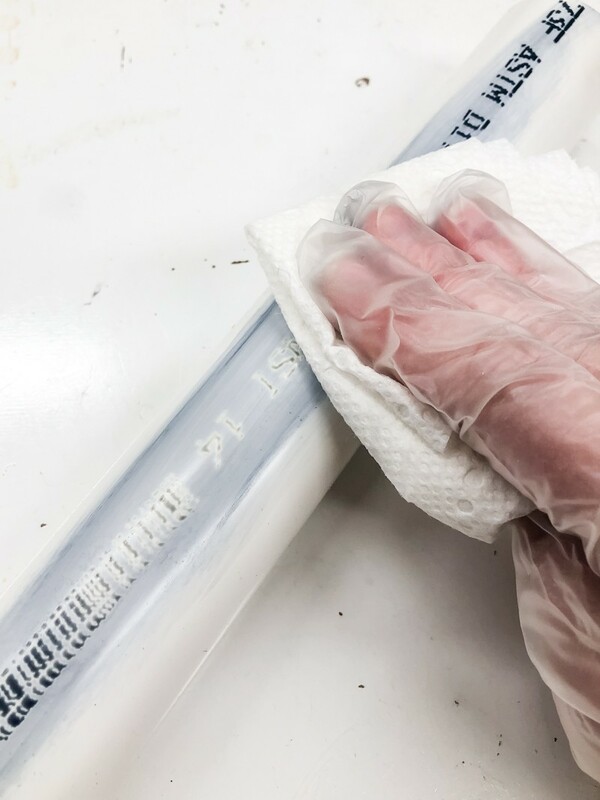 Unless you’re going for the industrial look, you’ll want to remove all that ink from the side of the PVC pipe. Good old acetone should do the trick! 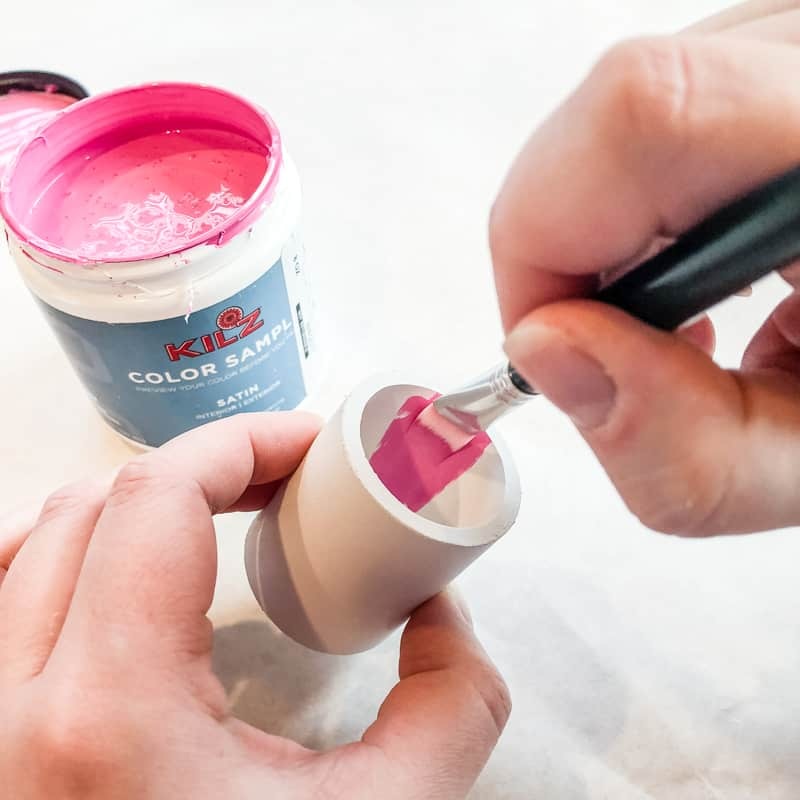 While acetone is fine when removing nail polish, it can get pretty irritating when used in larger amounts. I put on latex gloves, but found that after 10 minutes, the acetone soaked right through! Apparently butyl rubber gloves are the way to go if you’re really sensitive to chemicals. Once the pipe is clean, mark 2″ sections to be cut. 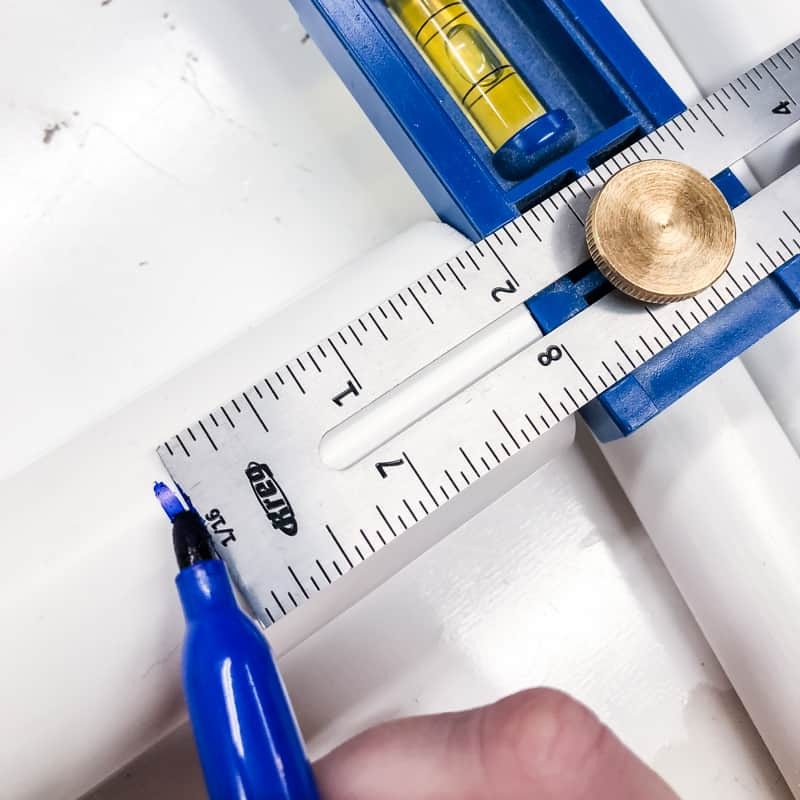 I found that this size was easiest to manage when assembling PVC pipe projects like this. I cut all my pieces on a miter saw, which made a blizzard of PVC shavings all over the workshop! You could also use PVC pipe cutters for this step. 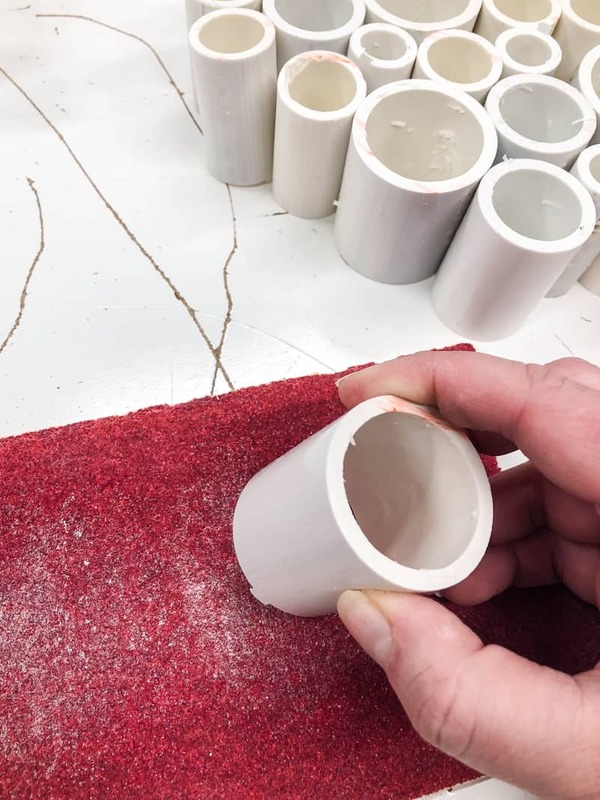 Cut more than you think you’ll need so you can play around with the different sizes to get the best shape for your project. Remove any rough edges with 80 grit sandpaper. Then wipe them down with a damp cloth to remove any dust or PVC flakes that are stuck. I didn’t like how dingy my pieces were looking, even after repeated cleanings. So I gave them a quick coat of white spray paint that is formulated for plastic to brighten them up! This part was definitely the most tedious, but I love the bright pop of color when you look at it from the end of the pipe! Be sure to keep the paint off the outside edge to keep it crisp white. Now we get to the fun part! 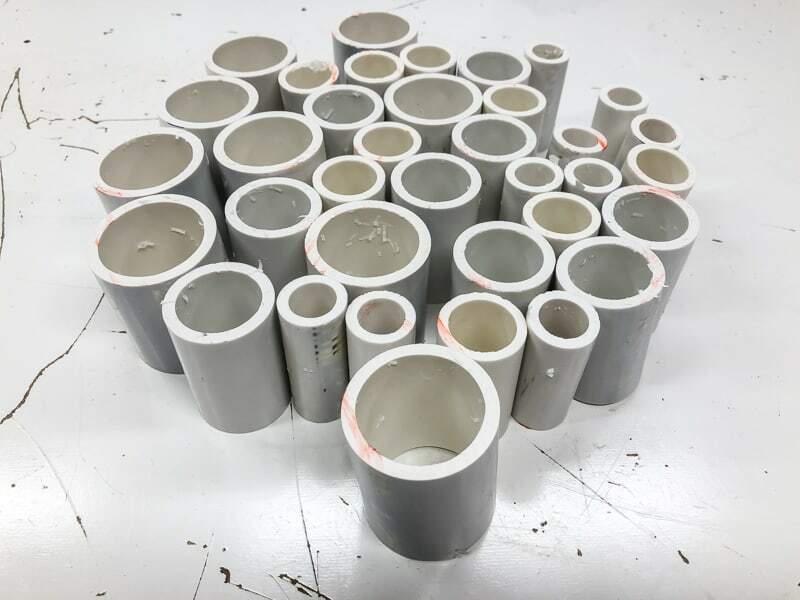 Play around with the different sizes of pipe to get the shape you want. Each piece of pipe should touch at least two others. I found it easiest to work on just one side, then create the mirror image for the other side. That way, you end up with a perfectly symmetrical heart! Starting at the bottom, apply a line of hot glue to the point where two pieces meet, then press them together. I found it easiest to glue together an entire side, then stack the pieces vertically to form additional rows. You may have some blobs of glue visible on the outside edge. Since I’m a perfectionist, I used an X-acto knife to cut away the biggest ones, then gave the entire outside of the heart one last coat of spray paint to cover up the rest. 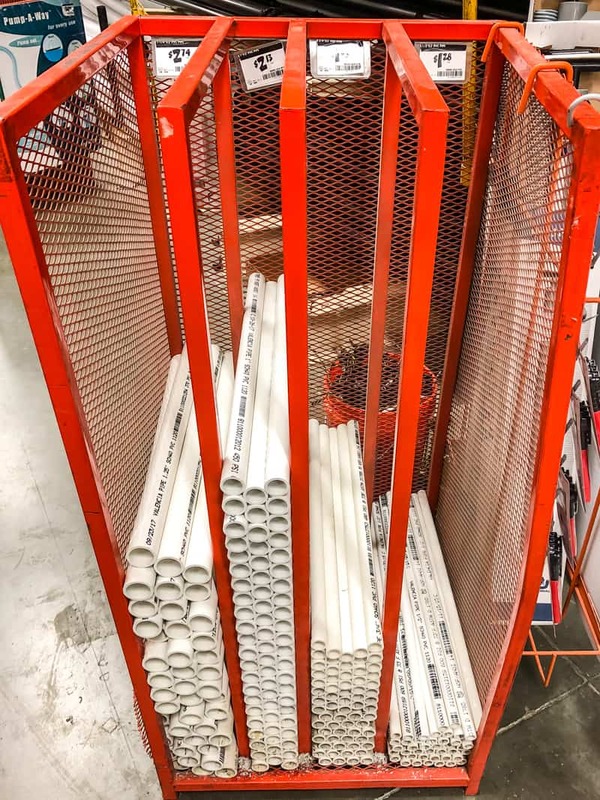 Now your new PVC pipe project is ready to go on display! I just love the pop of color, especially on these gray, dreary winter days! It’s perfect for our fireplace mantel, next to the giant Conversation Hearts I made a few years ago. 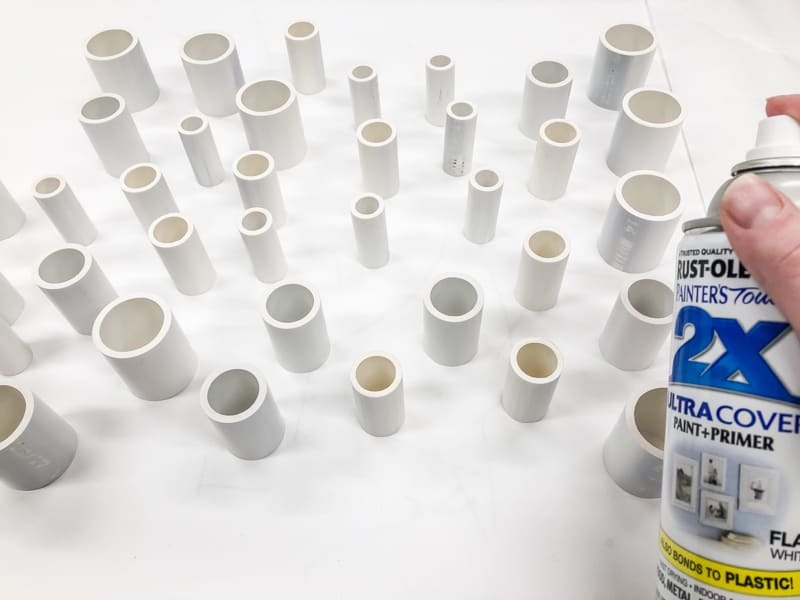 Want more PVC pipe project ideas? 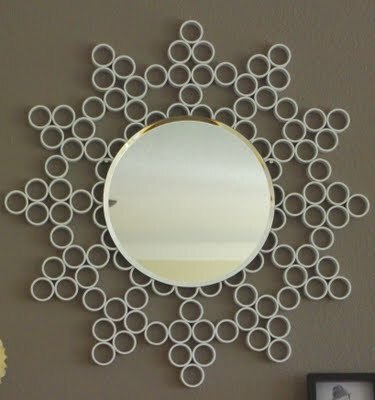 Check out this cute sunburst mirror by Happiness is Homemade! Or make a modern privacy screen using lots of PVC pipe slices! Wow! 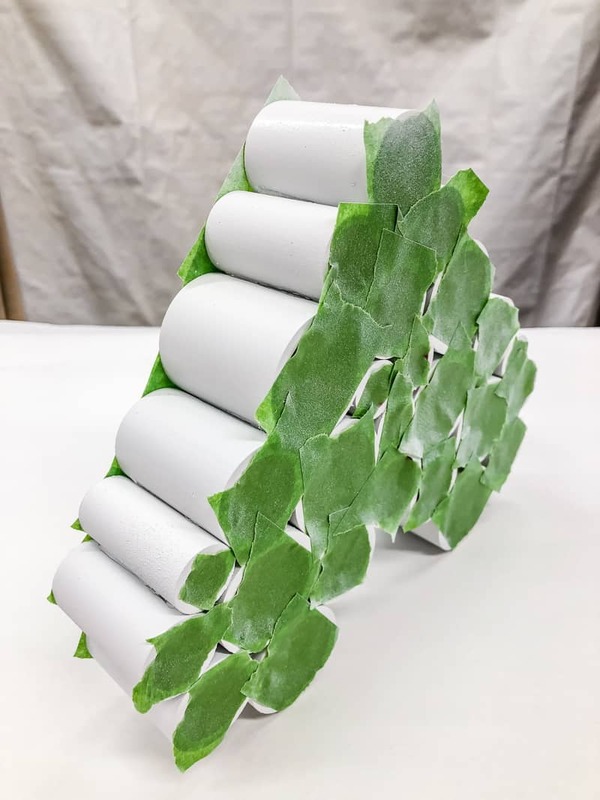 That’s one of the coolest and most innovative DIY projects I’ve come across in a while, Vineta! I’ll definitely give it a try myself. Very creative, indeed! Thanks for sharing!